Case study presentation by Keith Bosak and Rajiv Rawat at the Sustainable Mountain Communities Conference in Banff, Alberta, June 14-18, 2003. What is the problem your project is trying to address? 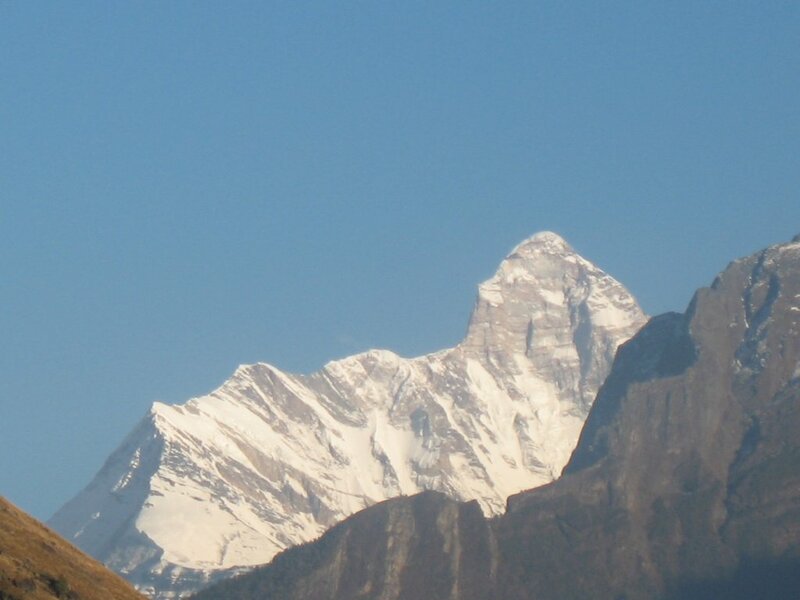 Since the establishment of the Nanda Devi National Park in the Indian High Himalayas in 1982, and its upgrade to a Biosphere Reserve (NDBR) in 1988, local Bhotiya villagers living in the vicinity of the protected area have faced an uphill battle to recover their social, cultural, and economic rights. 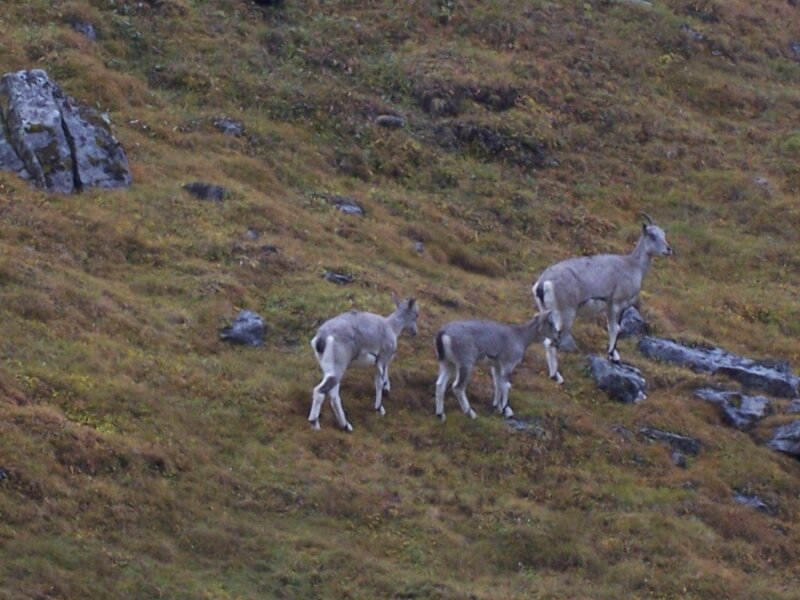 The complete ban on harvesting, grazing, hunting, trekking, and mountaineering in the area, while protecting the reserve from further ecological degradation, has had an adverse impact on the local economy that had already suffered a blow by the closure of the India-China border in 1962. Promises of redress have largely gone unfulfilled and the ensuing resentment against conservation authorities led to recent struggles to regain communal rights over the parklands. For the authorities and outside observers, this new movement against imposed conservation seemed all the more ironic, as the same villages surrounding Nanda Devi had launched the much celebrated Chipko movement in the 1970s to save the region’s forests from commercial clear felling. 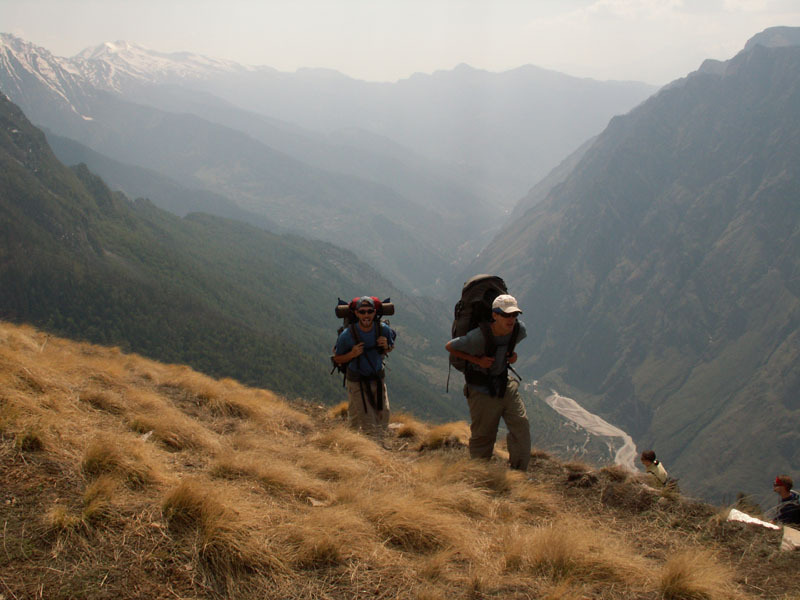 In 2001, with the region coming under the newly organized state of Uttarakhand, the government began looking to open the reserve for eco-tourism. The tourism minister was eager to promote tourism in the new state and in Nanda Devi in particular. However, much to the dismay of the long suffering communities, a Delhi-based organization, the Indian Mountaineering Foundation (IMF), was given access to the restricted core area of the reserve. Their apprehension about an outside consortium monopolizing the tourist trade prompted the villagers into renewed action. By the fall of 2001, after a sustained public campaign, the controversy had rebounded on the government. In 2002, after the election of a new state government, senior forest officials, social activists, and village leaders began working together on a new plan to open the reserve to regulated tourism more along the lines proposed by the local communities. 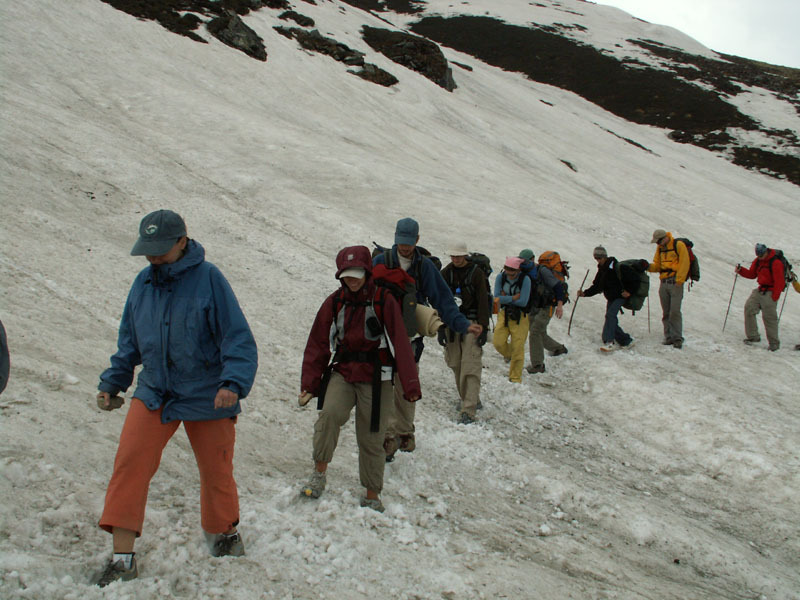 In the spring of 2003, local villagers were given limited access and explicit management rights to trekking in the core zone after being banned for 20 years. However, the struggle for control of local resources continues, and involves a complex set of agents that include government agencies, NGOs, tourism promoters, and environmental activists. The NDBR lies within the newly established hill state of Uttarakhand, India. The NDBR comprises over 2200 sq. 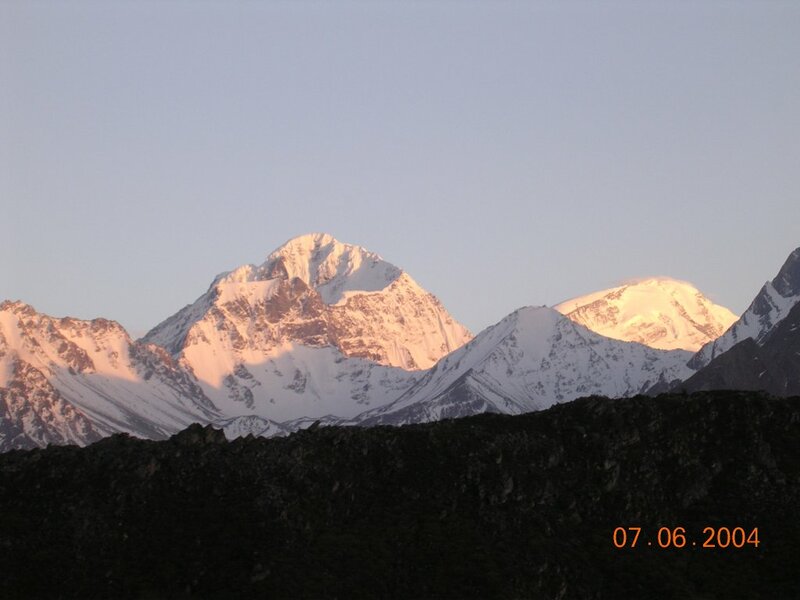 km of Himalayan wilderness surrounding the sacred Nanda Devi (“the bliss-giving goddess”) mountain (7817 m.), the second highest peak in India. The area is also home to approximately 1200 tribal residents, mainly ethnic Tibetans known as the Bhotiya, living in 9 villages. The reserve was closed in 1982 following the Indian government’s concern that increasing tourist activity, particularly organized mountaineering and nature expeditions that had made Nanda Devi the second-most popular Himalayan tourist destination after Everest, were ruining the local environment. The NDBR was added to the UN World Heritage register in 1988. The biosphere reserve plan set aside a core zone of 645 sq. km. which was to be completely undisturbed by human activity (not only was it off limits for tourism but also for local residents). A buffer zone of about 1600 sq. km. allowed for limited human activities such as farming and grazing of animals. How long has this problem existed? The roots of this problem can be traced back to British colonial forest management practices of the 1800s. However, the current problem began with the closure of the NDBR in 1982 and came to a head in 2001 when the IMF expedition was allowed into the park. What is the trend – is the problem getting worse, getting better or staying the same? A combination of hard work by village leaders, local NGOs and others involved with the struggle and a government that has become more understanding regarding the rights of the Bhotiya has yielded positive results. 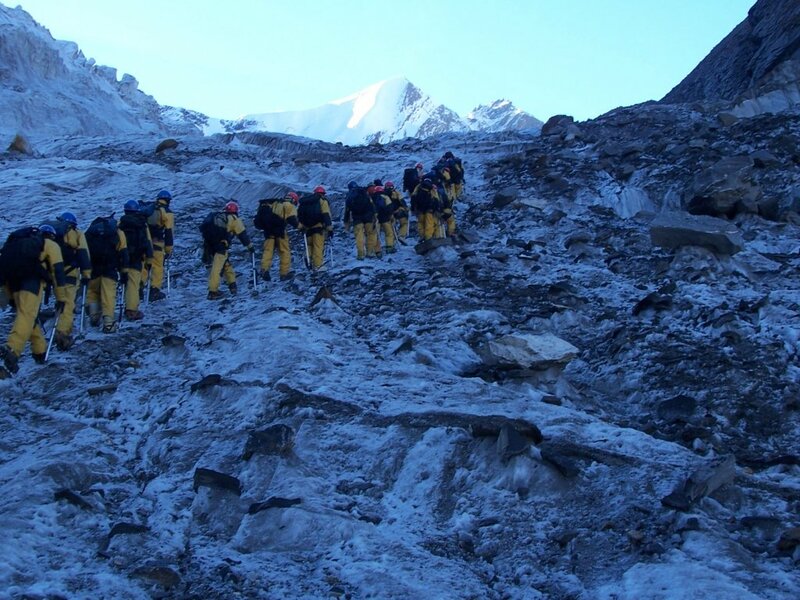 Trekking has been allowed into the fringes of the core zone and the local villages have been given explicit control over trekking activities. This is a major breakthrough in the assertion of local people of their rights to the resources of the NDBR. However, the struggle is far from over. Now that the Bhotiya have regained partial control of tourism in the NDBR, they must make tourism work as a sustainable livelihood activity. Who are the main stakeholders in this issue? The conflict in the NDBR is complex. Each group of stakeholders claims to have a right to the resources of the NDBR. The Bhotiya are struggling to regain control over land that has historically belonged to them. To this end, the Bhotiya have enlisted the help of The Alliance for Development, a coalition of local NGOs. 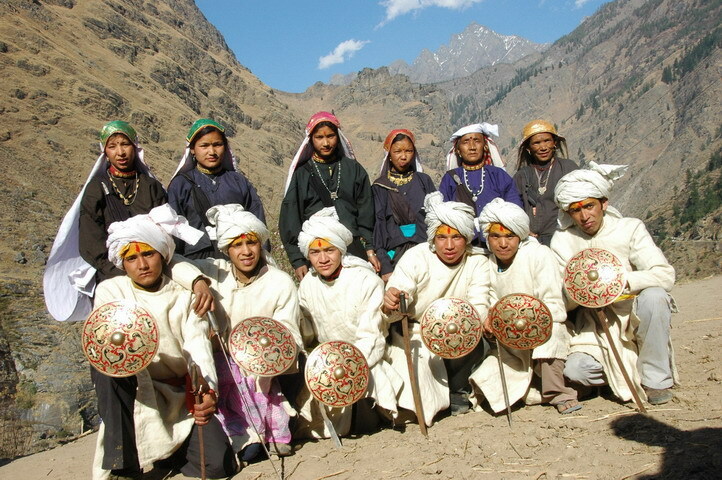 The Bhotiya and the Alliance for Development are pursuing community-based eco-tourism as a sustainable way to use local resources to provide an income for local people and at the same time preserve local culture. The Government of India is trying to preserve the NDBR in the name of biodiversity conservation through the administration of NDBR as both a biosphere reserve and national park. The daily operations of the NDBR rest with the Ministry of Environment and Forests. The United Nations is also interested in preserving the biodiversity of the NDBR and has given the site a special designation. The Indian Mountaineering Foundation would like the park reopened to trekkers and mountaineers as it was before the closure in 1982. What solutions have been tried? 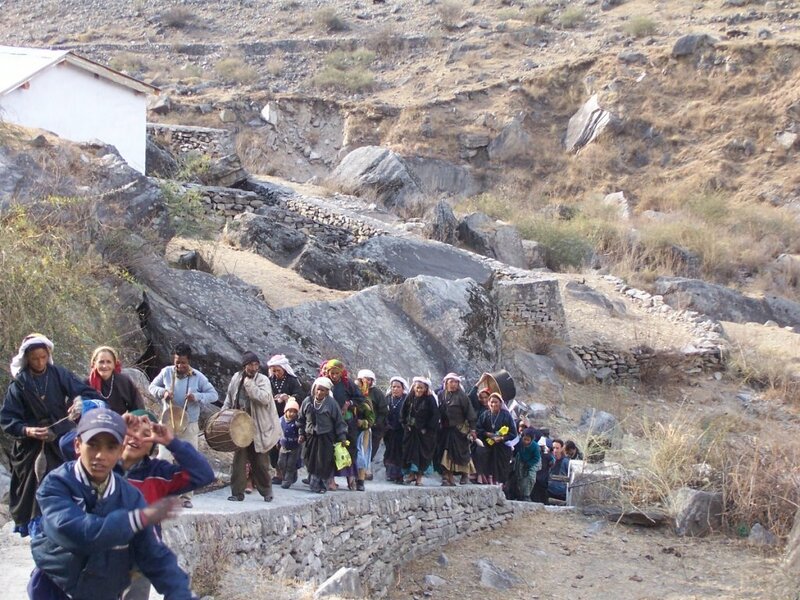 In the fall of 2001, the local villagers and the Alliance for Development put together a conference on community-based conservation and eco-tourism in the village of Lata. One of the aims of the conference was to bring as many stakeholders as possible together and propose a solution. From that conference came the eco-tourism declaration asserting the rights of local people to manage tourism in the NDBR in an equitable and sustainable manner. Is the project showing promise? The project is showing promise. However, there is still a long way to go before this can be declared a success story. The Bhotiya have re-asserted their rights to the resources of NDBR and have come up with a plan for how those resources can be used in a sustainable manner through eco-tourism. There are several hurdles that have yet to be cleared. The first is to get the Bhotiya trained to manage tourism. 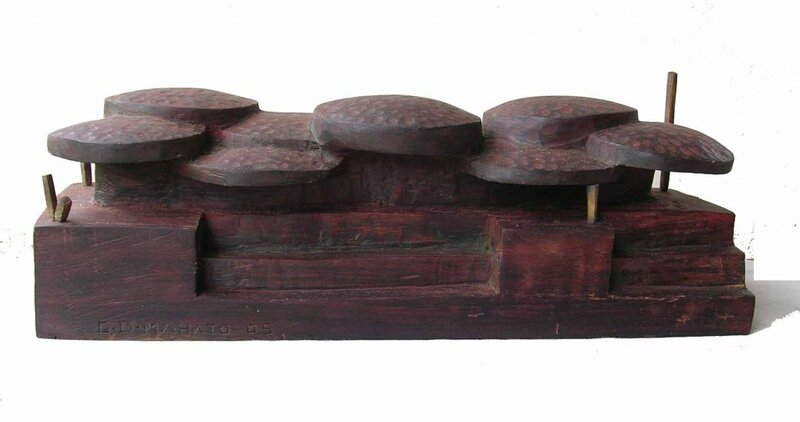 The second is to market the NDBR to an international audience. The final hurdle is perhaps the most important. The Bhotiya have to get funding for training and marketing activities. How does a community build capacity to compete on equal footage with better-organized tour agencies? More specifically, where will the Bhotiya get the money and the training necessary to effectively manage tourism in the NDBR? What should be the measures that the community has to take for addressing the balance between economic growth and conservation? How can the community continue to make itself heard by the policymakers and overcome years of mistrust and antagonism, while establishing a community stake in long-term development plans? The Bhotiya of the NDBR have regained some rights over local resources. Now they can pursue eco-tourism as a viable, sustainable livelihood option. However, the Bhotiya will not consider their struggle a success until the community is able to carve out its own future and establish itself as the principle stakeholders in the development process. Specifically, the Bhotiya will consider their endeavor a success when they can maintain a sustainable tourism-based economy that is equitable and in line with preserving their local culture. In order to do this, they must maintain control over local resources.